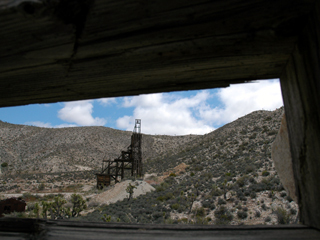 The Evening Star mine was in production between 1939 and 1944 and was one of the few mines with a crusher on top of the headframe. 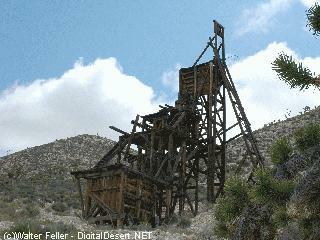 The mine was the only producer of tin ore in the Mojave Desert. 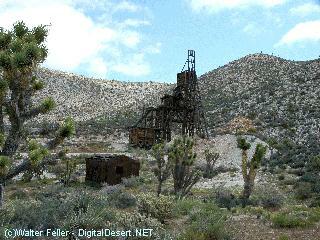 The Evening Star Mine, located 1 1/2 miles south of the Standard No. 1 began life in 1935 as a copper prospect by J. Riley Bembry. 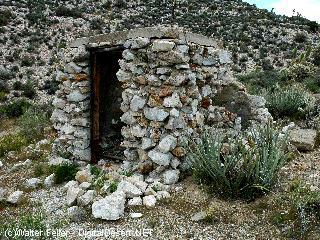 Within a year he sold the property to Trigg L. Button and Clarence Hammett of Santa Ana who began sinking the No. 1 shaft. In 1940 Vaughn Maynard of Santa Ana purchased the claims, and in 1941 the Tin Corporation of America leased the property. This company continued sinking the shaft, and shipped 25 tons in June 1942 to the Tin Processing Corporation in Texas City, Texas. 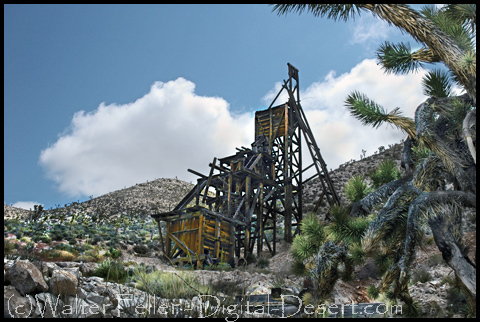 In 1943 the mine was leased by Carl F. Wendrick, Jr., owner of the Steel Sales and Service Company of Chicago, Illinois. Wendrick secured a government loan, employed eight men, built a larger headframe, and constructed a mill at Valley wells. Over 400 tons of ore were processed. 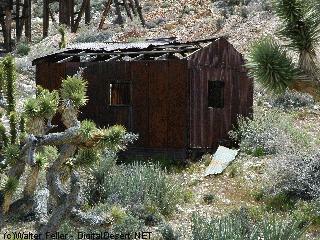 Several tons of tin concentrates were sold to the government stockpile in Jean, Nevada which contained 35.96 percent tin. 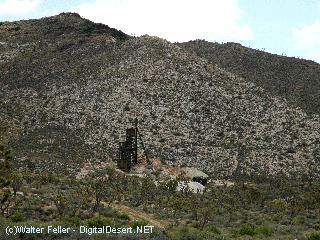 The claims just west of the Evening Star Mine were leased from 1939 to 1940 to W. W. Hartman of Los Angeles. 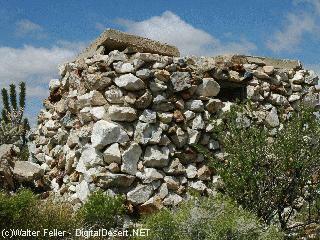 Hartman shipped about 1,000 tons of tungsten ore to the mill at Valley View gold mine at Hart. 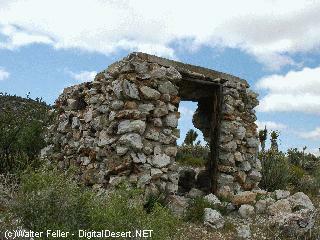 Desert Fever - Later Mining History of the Mescal Range, Ivanpah Mountains and south Clark Mountain.